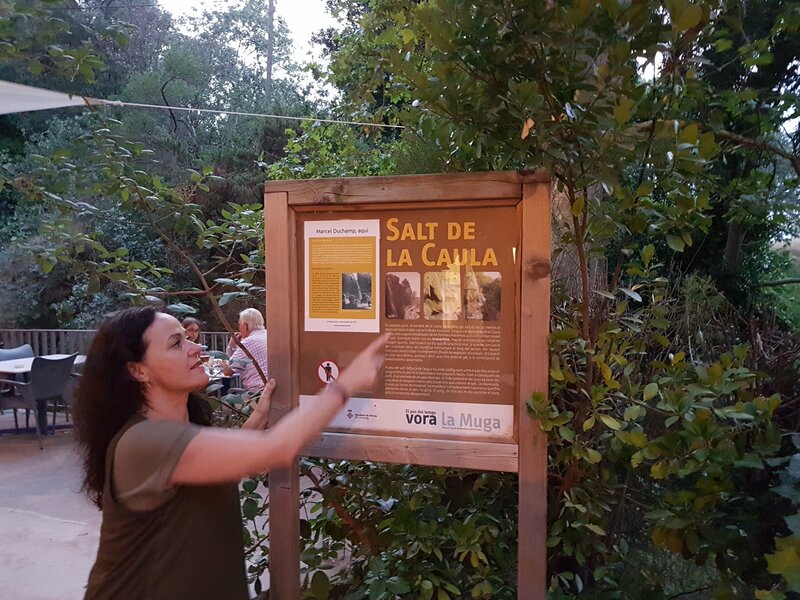 Salt de la Caula is a nice waterfall near the village of Les Escaules, not far from Figueres, in the region Catalonia, Spain. From Figueres it is a 15 minute drive (10 kilometer) to Les Escaules where Salt de la Caula is situated. In Figueres take the N-IIa to Pont de Molins and there go to les Escaules. Before the village there is a big board “bar-restaurant La Caula” with a big parking. The terrace of the restaurant has a beautiful view on Salt de la Caula , the perfect spot for a lunch, diner or some other refreshment. You can walk to the base of the waterfall and swim in the small pool at the waterfall. At least when there is water in the waterfall. Most of the time Salt de la Caula is a low volume waterfall but always nice to see. Early in the season (springtime) and in the autumn the river Torrent de la Caula has more volume. My Spanish isn’t very well but you can find more information on a picture of an information board here. The waterfall is still beautiful to look at, but the pool is non existent and the restaurant long closed, because of a huge landslide several years ago.